The BBA Winter Clinics begin Wednesday December 3rd! This year each clinic will be one hour long. We will have Hitting, Infield, and Pitching Clinics. Players can pay per hour ($20) or per night ($50). You can also get a Session Pass ($150) if you plan on attending all of one clinic (ex. attending all 9 Pitching Clinics). You can also get an All Sessions Pass ($350) if you plan on attending all clinics all the time (savings of $100). These clinics will be every Wednesday from Dec 3 through February 18 (no clinic on Dec 24, Dec 31, or Jan 7). WINTER CAMPS ON DEC 22-23!!!! BBA WINTER CAMPS and CLINICS The BBA Staff is proud to announce two camps scheduled in December! The All Skills Camp (ages 14 and under) is scheduled for both days from 9am until Noon. This camp will spend time on all phases of the game: hitting, outfield, infield, pitching, and playing some modified games. This entire camp will be located in our state-of-the-art HA Chapman Indoor Practice Facility! Spots are limited. Sign up today! The Winter Prospect Camp will be on Monday Dec 22 from 1pm until completion (4pm or 5pm). This camp is designed for players 14 years and older. 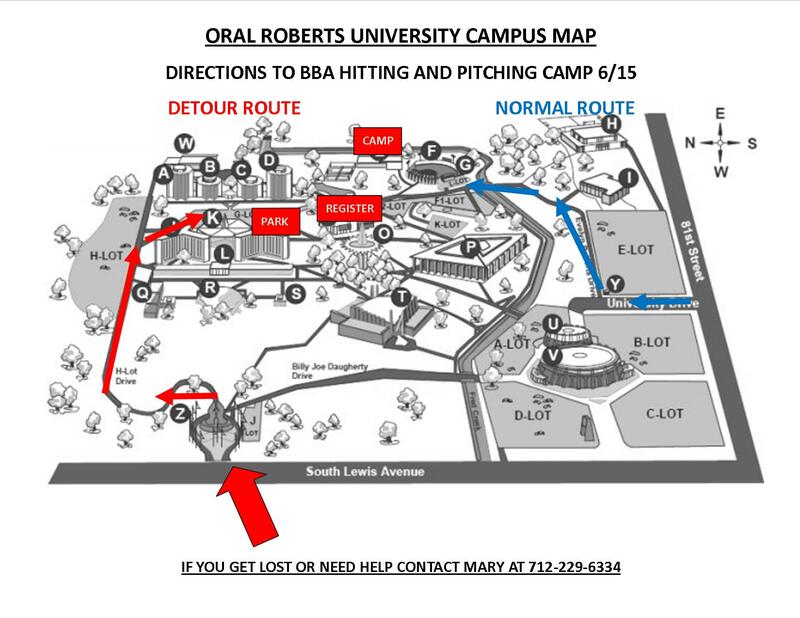 It is a great way to spend time in front of the ORU/BBA Staff, workout in the facility, as well as get D1 instruction! This entire camp will be located in the HA Chapman Indoor Practice Facility. Spots are limited. Sign up today!